5 Diamond Heating and Cooling, Inc.
Bill Howe Heating & Air Conditioning, Inc.
Morey Plumbing Heating & Cooling, Inc. Though it's been said that the only place in the country where you can find perfect weather is in San Diego, air conditioning is still used by many homeowners in southern California on a regular basis. It's true that, in many cases, it might be both easier and more desirable to simply open a window, but when the temperature gets too hot for comfort, a San Diego air conditioner in good working order is something that many residents are glad they have. 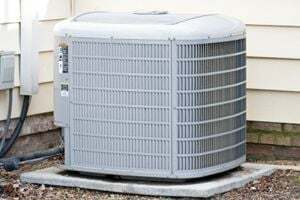 An air conditioner that's in disrepair, no matter where you live, can be a drain on the budget. Energy bills aren't getting any cheaper, and an AC on the fritz, besides being uncomfortable, can make summertime costs go through the roof. If your AC has seen better days, there are several options on the market that could be a perfect fit for your home, and your household's budget. Owners of older homes that have never been fitted with central air conditioning (or have been examined and deemed poor candidates for conventional central AC) may consider one of these newer style systems. In both cases, the amount of ductwork is reduced considerably from what would have been necessary in the past. Unlike wall or window unit air conditioners, these systems are quite capable of cooling an entire home. Additionally, homeowners tired of having most of their attic space taken up by bulky old ductwork will find that by installing ductless or mini-duct air conditioning, they will be able to free up a significant amount of space upstairs. A heat pump air conditioning unit is a great fit for homes whose heating and cooling needs are low or moderate. Basically, the condenser on the outside of your home is able to provide both hot and cold air; instead of having a separate condenser and furnace, heat pump systems perform the duties of both and blow the air through one set of ductwork. In harsher climates, this might not be the best choice, but for folks in San Diego, air conditioning and heating from one unit is often a good idea. Though not as efficient as most central AC systems, homeowners that only need to cool one or two rooms might find a simple and inexpensive solution by installing wall or window air conditioning. San Diego's mild and consistent climate is a good setting for this type of home cooling. Window units are generally simple enough to install that the job can basically be done by anyone who can lift one. Wall units are a bit trickier, as a space needs to be cut out for them, but they provide a better seal between the inside of your home and the outside air. The price of installing central air conditioning in San Diego certainly varies depending on the type of unit you purchase, the size of the home, and the company you choose to do the work. Low-end installations can cost $2,000 or $3,000, while high-end jobs can cost as much as $9,000. Window units can be purchased for a few hundred bucks. Wall units are slightly more expensive, and if there isn't already a place to put it, installation costs are also a factor. As with any home improvement project, the best thing you can do as a homeowner to get the most for your dollar is to talk to, and get estimates from, several companies. Comment: We are trying to install mini split unit AC for our front desk area. We are looking for estimate who can place power unit and install mini AC split unit from professional electricians. Comment: My house is 1000 sq. ft. While my Maytag furnace is 11 years old, it is OK and I do not need any duct work. The cost to repair the current a/c seems so high, I think I need to buy a new one. Quality installation and warranty are the most important things. Comment: I have central heating but would like central air also. Please e-mail me a quote. San Diego HVAC & Air Conditioning Contractors are rated 4.86 out of 5 based on 1,934 reviews of 47 pros. Not Looking for Air Conditioning Contractors in San Diego, CA?